¡Que viva México! Visit Mexico City in the style of Steve Maxwell! Part exercise tutorial and part travelogue, you'll be in good company as Steve spends a week exploring the Distrito Federal. 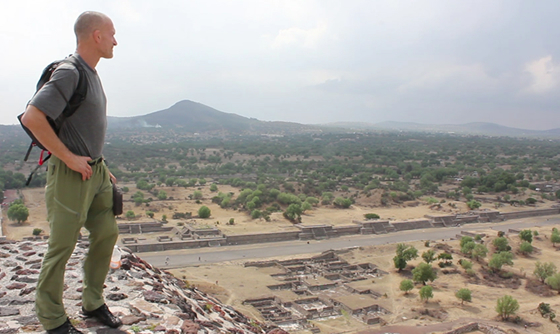 Be amazed by the Aztec pyramids of Teotihuacan and captivated by the charms of picturesque Lake Xochimilco, all the while training and maintaining the discipline of fitness and conditioning. 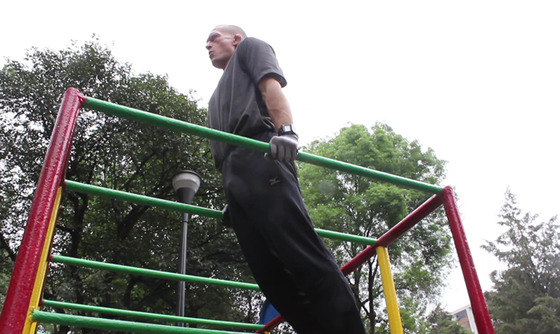 All three workouts were shot at Parque Hundido, one block from the hotel. A good playground is a universal joy to behold and Steve shows how to make the most of your local environment in order to maintain your physical virtue. You will be inspired! Experience the wonders of the world through Steve Maxwell's eyes!